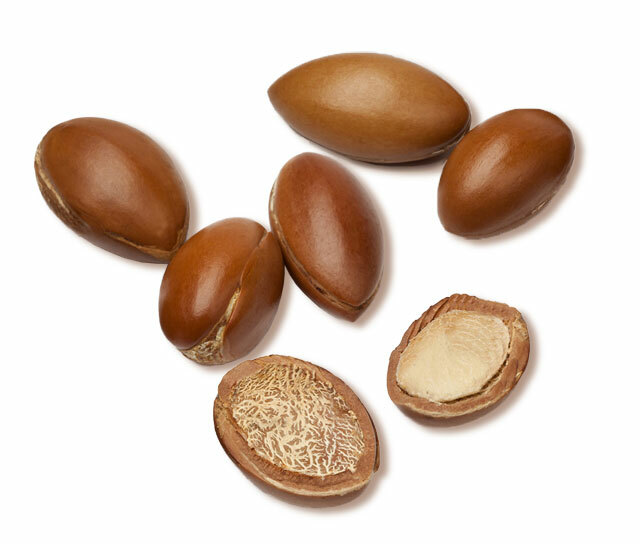 Argan oil from Morocco is characterized as an essential natural beauty product with an ever growing number of possible applications. You can use it as a primary or supplementary beauty product for your skin an hair; you can even use it as a face moisturizer. Yes, you heard right, oil as your face moisturizer!! At this point, it should be noted that many people think that buying expensive and well advertised, but chemically-based, beauty products will help them get great results regarding their hair and skin. The modern way of living is full of stress, bad eating habits, pollution, etc. This leads to faster aging process. Everyone wants to stay and look younger. Therefore, many people fall into the trap of buying these expensive chemicals believing that they will experience life-changing results within a very short period of time. Unfortunately, in many instances, experimenting with new beauty products, or in some cases buying and using too many of them, may even turn disastrous, leading to severe skin irritations. Most of the times, chemicals are not being accepted by the body, or they may cure or help a skin irritation, but in the short or long term, their use may create unpleasant side-effects. When it comes to achieving the desired beauty standards, there is nothing better than 100% natural organic products, especially those who respect and follow the beauty practices that are being enhanced with the wisdom of time. One of the most well-known cultures that have observed and served beauty is the Moroccan culture. Moroccan women are well-known for their exotic beauty, their soft young looking skin, and their shining full of volume hair. One of the best-kept secrets of Moroccan beauty is Argan oil from Morocco. 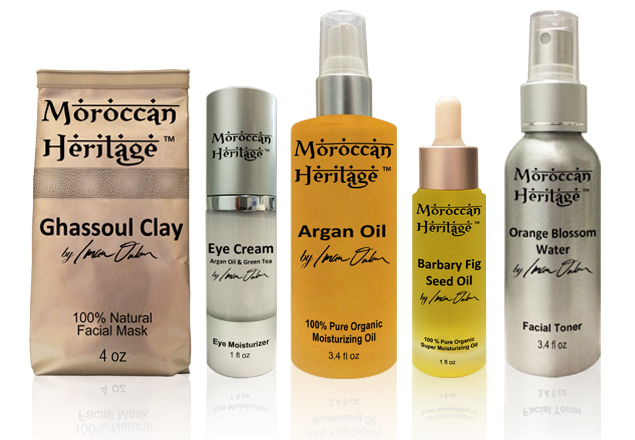 The brand that continues respectfully the beauty traditions of Morocco is Moroccan Heritage™. What makes the Argan Oil by Moroccan Heritage™ so much better than the other “argan oils” is that it is being produced the same way famous Moroccan beauty practitioners did in the past. 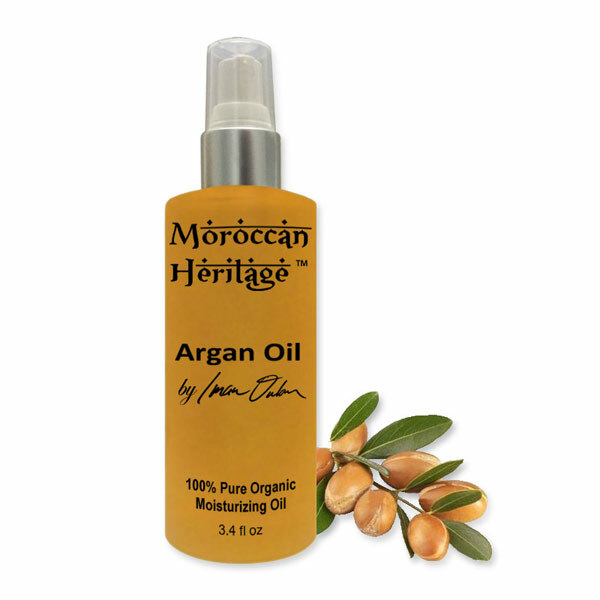 Only the finest and purest argan oil from Morocco is being poured into the bottles of Moroccan Heritage™. All the highest quality standards are being followed at all times ensuring that you will get all the precious and rare nutrients. The Argan Oil by Moroccan Heritage™ can be used as a complete hair care and skin care beauty product, simply because it is very rich in anti-oxidants, fatty acids, carotenes, and Vitamin E. This is what your skin needs so badly on a daily basis to be protected effectively from aging, sun radiation, pollution, and fast changing, sometimes harsh, temperatures changes. You can use it freely on any skin type, and since it protects your skin from losing its moisture, it serves as a great face moisturizer. 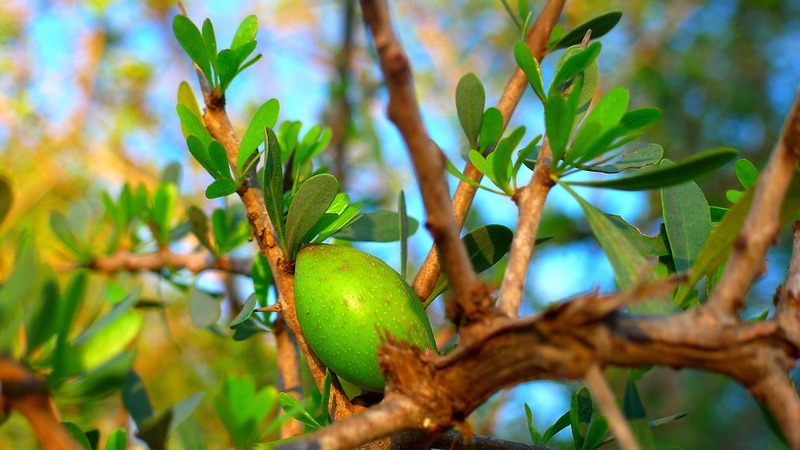 Why not use argan oil from Morocco as an alternative 100% natural organic exfoliator? Do-it-yourself exfoliators are easy to make and will save you loads of money. You will have great results on your skin, and these experimental sessions could prove to be fun and bonding experiences with your friends. To experience the amazing powers of argan oil as an exfoliator, you will just need the finest argan oil from Morocco (and yes, argan oil from Morocco is the best and the purest in the world), and brown sugar. If you suffer from acne, black spots, or dry skin, just mix a tablespoon of brown sugar with few drops of argan oil in a small cup. Gently rub the mixture on your face and even other parts of your body, such as dry elbows and heels. Leave the exfoliator for a couple of minutes on your skin then rinse with warm water and pat dry. You can do this on a regular basis, such as every weekend. It is proved that regular exfoliation with argan oil and brown sugar removes effectively the dead cells from the skin and cleans in depth the pores. 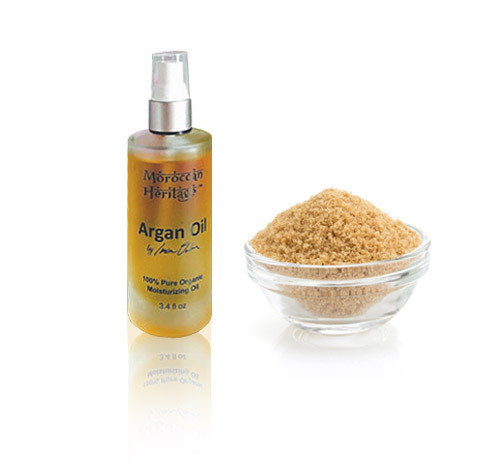 Brown sugar helps the faster absorption of the argan oil’s precious nutrients. After only a couple of times, your face will look and feel younger, and you will finally get the so desired soft elbows and heels. Nature has the answers for all your beauty problems. Try the 100% natural organic Argan Oil by Moroccan Heritage™ and discover its never ending skin care and hair care potential !!! Prickly pear, aka barbary fig, belongs to the cactus family. The prickly pear can be found in the harsh deserts of Mexico and Africa, but the finest quality can be found in the deserts of Morocco. This cactus is certainly a “winner” since it manages to thrive in really harsh environmental conditions. It manages to concentrate all precious nutrients and protect it by storing them under its hard outer skin and sharp thorns. 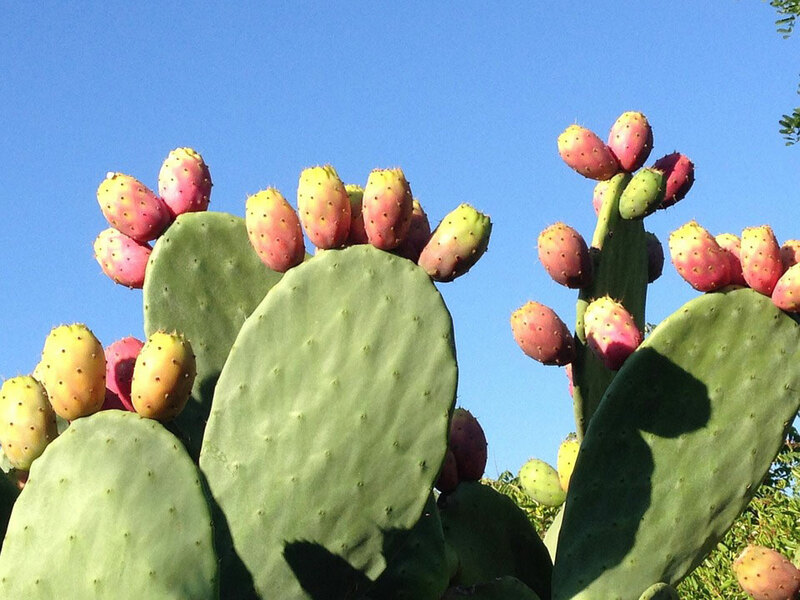 The prickly pear seed oil, aka barbary fig seed oil, is made from the seeds of this amazing cactus. The Barbary Fig Seed Oil by Moroccan Heritage™ proves to be a multi-tasking precious serum made solely from cold-pressed prickly pear oil from the deserts of Morocco. Being and looking beautiful is a never ending process that we need to follow with respect, care, and of course knowledge. Since the cosmetics industry is worth billions of dollars, it can be easily understood that there will be an ever-growing number of new cosmetics companies, beauty salons, beauty professionals entering the industry on a daily basis. In most of the cases, there is an over-supply of beauty products found on the market. Therefore, it is very difficult to find trustworthy products that you can use daily as part of your skin care and hair care routine. Choosing the right face moisturizer or the right hair care conditioner is more than essential. Products that are not natural and of the finest quality may turn into your worst enemy instead of helping you achieve the beauty standards that you desire. An ever growing number of beauty experts and lab scientists suggest using 100% natural and organic beauty products. In this way not only you will get a natural outcome, but you will also avoid any side effects. Moroccan Heritage™ is one of these rare companies that respect the rich beauty tradition of Morocco and proudly presents a purely organic and 100% natural series of beauty products that will protect and enhance the youthfulness and freshness of your body. Morocco is a beautiful and mysterious country, a place where the myths blend with reality in an amazingly enchanting way. May Morocco have a rather harsh desert, but it also has well hidden spots that make the visitors feel that heaven does exist on Earth. Equally to its environmental contrasts, there are also colorful cultural contrasts. For someone not having lived and experienced the Moroccan way of life, this beautiful country may look rather mystical. Well, in a kind of a way it is. Over many centuries, Moroccan people have been learning, adjusting, pioneering. One of the things that this enchanting county is famous about is beauty. Moroccan beauty secrets pass from generation to generation, from mother to daughter, since the birth of this amazing culture. 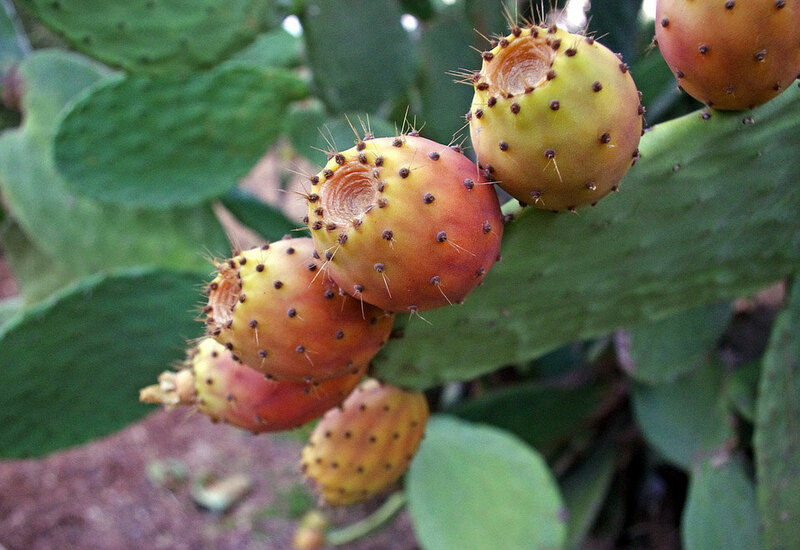 Prickly pear seed oil, aka barbary fig seed oil, is made of the cactus Opuntia Ficus Indica. The best quality Opuntia Ficus Indica is being found in the desert landscape of Morocco. Regardless of its very rough appearance, this cactus hides in its seeds one of the best kept Moroccan beauty secrets. Prickly pear seed oil is probably one of the best nutrients for skin care treatments and it acts as a great face moisturizer. Over the last years, there is an ever growing number of beauty products being promoted that claim to have prickly pear seed oil of the finest quality, but is this really the case? Trying to keep your face fresh and clean is very important; a daily routine that you must follow with care and respect. Don’t forget that, most of the times, our face is the first and central point of eye contact with others. Therefore, in order the others to have a good impression of you then you must try hard to keep it up in the best possible condition. Over the decades, the cosmetics industry has evolved and there are many, actually too many, alternatives regarding beauty treatment. Recent studies though, have proved that the best skin care treatment you can get must be based on natural organic nutrients. Skin care has many version across the cultures of the world. Winter is the most romantic season of the year. It is a perfect chance to have some really cozy moments by the fireplace, drinking wine with friends, and staring at the snow falling outside. But, unfortunately, winter may prove very harsh on your lips, skin, and hair. Due to the big temperature differences between inside and outside, in sever cases these differences may over-exceed 104ºF (40ºC), our skin has some really tough times, and many people may have serious skin problems with the most common being skin dryness and cracking, dry and harsh lips, fizzy harsh hair with no volume. And the older someone gets, the more intense these problems may become. This is because after a certain age, somewhere around 30s, our body produces an ever decreasing amount of collagen, the magic nutrient that keeps our skin and hair healthy looking, shiny, and soft. Therefore, winter may accelerate the creation of wrinkles. Fortunately, there are many ways that we can protect our lips, skin, and hair. In order to get the best skin care and hair care treatment, we need to find a 100% natural organic moisturizer that will offer us a complete anti aging, anti wrinkle protection.